San Diego is a gorgeous city in the United States. With a population of over 1.3 million, it is the second largest destination of the state and the eighth largest in the country. San Diego offers you the classic California coastline. Popular attractions in San Diego include La Jolla Cove, Balboa Park and the Maritime Museum of San Diego. Prepare for a memorable time in the State of California, because cheap flights to San Diego are now available for a limited time! San Diego is the home of San Diego International Airport (SAN), which is a 10-minute drive from the city centre. 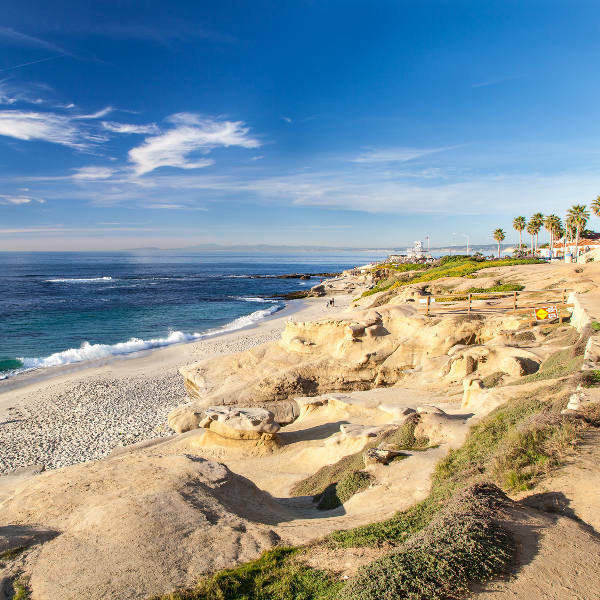 Being a city in the State of California, San Diego is famous for its gorgeous shoreline, with plenty of beaches, such as Black’s Beach, Mission Beach and Dog Beach. This American destination boasts attractions that cater for your entire family. Treat them to visits to SeaWorld San Diego, Balboa Park and the USS Midway Museum. San Diego is the first place the Europeans settled in, in 1769. 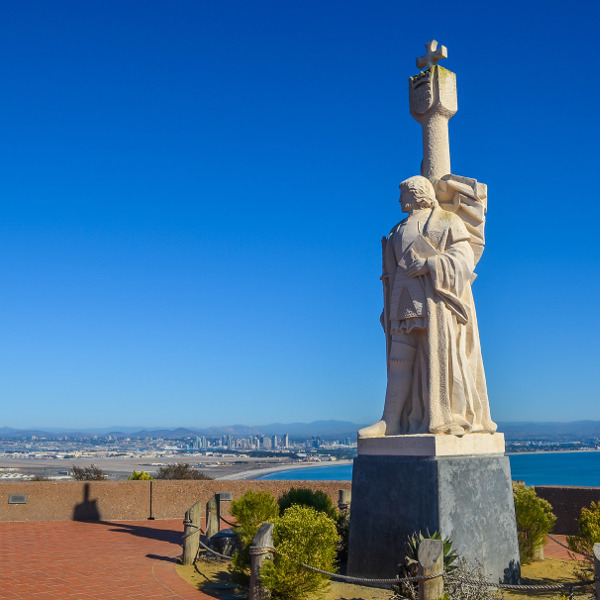 Explore sites like Cabrillo National Monument and the Maritime Museum of San Diego. The summer (June – August) crowds tend to linger well into the first autumn month of September. The autumn season (September – November) is your best time to visit, however, since from October to November the number of visitors and the hotel rates drop. Get ready for a holiday experience you will never forget in San Diego, in the State of California, United States of America. This historic metropolis, being the first place in this state that the Europeans settled in back in 1769, is justifiably “the birthplace of California”. Discover more of this American destination’s past with attractions like Old Town San Diego State Historic Park and the Star of India. Don’t forget, though, that San Diego is known today for its sweet selection of alluring beaches, like Dog Beach and South Mission Beach, so seize the opportunity to soak up the sun and have plenty of fun. 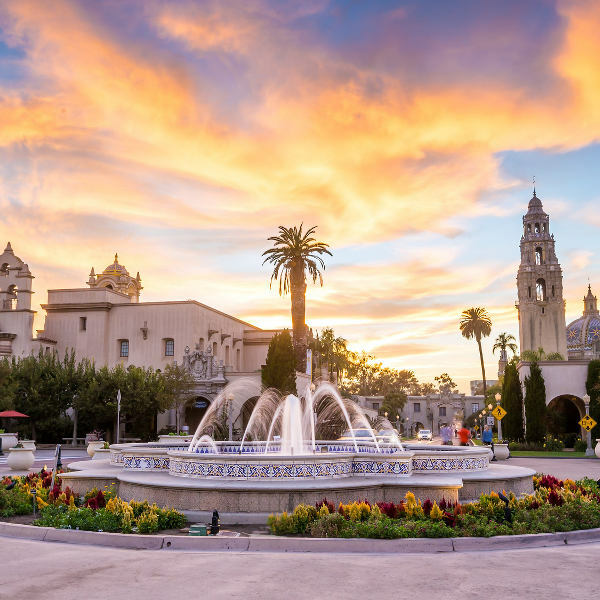 Treat the kids to an adventure in this California city, with venues Balboa Park and the 728-hectare San Diego Zoo Safari Park. Let Travelstart help you net the dream holiday experience. Compare several airlines and book your cheap flights to San Diego online at Travelstart! As a large destination, you should be aware of travelling anywhere alone at night, especially in Southeast San Diego or Barrio Logan. Avoid approaching strangers and walking down dark side streets and alleyways.